Pakistan 9-224 (Shahid Afridi 76, Misbah-ul-Haq 52, Jason Holder 4-13) beat West Indies 98 (Marlon Samuels 25, Darren Sammy 21*, Shahid Afridi 7-12) by 126 runs. The Green Shirts smashed 224 runs for the loss of 9 wickets in the allocated 50 overs whereas the Caribbeans were bowled out for 98 with 54 balls to spare. Shahid Afridi (Pakistan) was declared ‘Player of the match’ for his thrilling knock of 76 from 55 balls supported by his career’s best figures of 7-12. The first One Day International of the five match series was played on Sunday, July 14, 2013, at Providence Stadium, Guyana. Earlier, the skipper of West Indies, Dwayne Bravo, won the toss and put Pakistan in to bat under cloudy conditions. The decision proved fruitful as their pace bowler, Jason Holder, ripped through the top order batting of the visitors by grabbing four wickets. Ahmed Shehzad, Mohammad Hafeez, Nasir Jamshed and Asad Shafiq went back to the pavilion one after another for 5, 1, 6 and 0 runs respectively. Umar Akmal walked in next and found his captain, Misbah-ul-Haq stranded at the other end as the Green Shirts were struggling at 4-23 in 9.1 overs. Misbah-ul-Haq defended his end and Umar Akmal hit the first six of the innings in the 15th over. The latter lost his wicket at 47 after scoring 19 runs and was replaced by the all-rounder Shahid Afridi who opened up with a six. 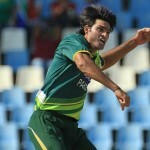 Misbah-ul-Haq kept his cool whereas the impressive all rounder scored 11 runs in the 25th over but was dropped as well. The score went past the hundred runs mark in the 30th over while Shahid Afridi continued his assault and smashed his 35th ODI fifty three overs later with a couple of fours. The sensational former captain dispatched another 2 sixes and 1 four before he was superbly caught by Darren Sammy off Kierron Pollard for 76 from 55 mere balls with 5 towering sixes and 6 fours. The sixth wicket partnership contributed 120 runs whereas Misbah-ul-Haq created a world record by grasping his 26th ODI half century without scoring any hundred. 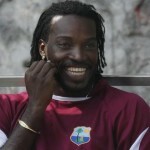 He was finally caught behind by Johnson Charles off Dwayne Bravo for 52 scored from 121 deliveries with just one four. Pakistan thrashed 224 with one wicket remaining at the end of the 50th over. Jason Holder was the supreme bowler with four wickets, Kemar Roach and Dwayne Bravo shared two each whereas Kieron Pollard held one wicket. West Indies did not even have a nice start since the lanky fast bowler of Pakistan, Mohammad Irfan, took the important wickets of Johnson Charles and Darren Bravo for 0 and 5 runs. Chris Gayle was run out by a sharp throw from Misbah-ul-Haq for just one run as Marlon Samuels and Lendl Simmons got together at the crease. The batsmen found it difficult to score the runs and crept to 20 after 10 overs. Samuels got two back to back fours in the next over and the boundaries were dried up again in the coming overs. Shahid Afridi made his presence felt with the ball as well when he dismissed Simmons and Dwayne Bravo on the consecutive deliveries of the 23rd over. Marlon Samuels was declared leg before wicket and the Windies were reeling at 8-55 in 30.4 overs. Darren Sammy and Sunil Narine enhanced the score to 98 before Shahid Afridi got rid of Narine and Jason Holder in the 41st over. The innings of the entire Caribbean side was rolled back for just 98 runs in 41 overs. Shahid Afridi surpassed his 350 wickets in the limited overs cricket and grabbed seven wickets in the game whereas Mohammad Irfan chipped in with two wickets. Pakistan clinched the match comprehensively with a huge margin of 126 runs and leads the series 1-0. The second game will be played at the same venue on July 16, 2013.